Christmas is less than a week away, and already my sites are set on the New Year. With the New Year come the resolutions. We all make them, and more likely than now, we all fail to stick to them by January 31st. Whether your resolution is to lose weight and get fit like me, or to spend more time with family, learn something new or just have more fun, why not give yourself the best chance possible to stick to that resolution this year? Sears Connected Solutions site has everything you need for a connected home and life, so that you can stick to that New Year's Resolution once and for all with the smartest technology around. Sears is simplifying the way you can shop for your connected home with their Sears Connected Solutions online site. They offer an unmatched array of smart technology to help you streamline your routine and put the control in your hand. Many of the products sold on the Sears Connected Solutions site take just five minutes or less to install or setup, and installation help is available for those who need or want it. They are also vamping up their stock of smart technology available in stores nationwide! 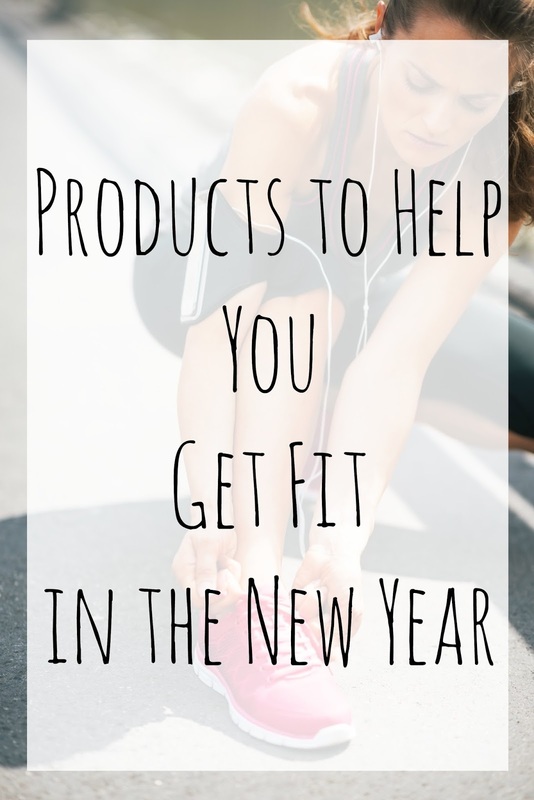 I have been looking at products from Sears Connected Solutions that could help me keep my resolution to "get fit" in the New Year. I thought it would be helpful to share them with all of you, since this is one of the main resolutions that people set for themselves each year. The Sears Connected Solutions site offers a wide range of smart fitness equipment. One of the main things that keep me from sticking to my resolution to stay fit each year is the Florida weather. It is almost always too hot for me to want to go outside and exercise, a piece of smart fitness equipment like the NordicTrack T 6.5Z Treadmill would allow me to workout inside where the temperature is comfortable and to get a wide range of workouts by connecting wirelessly to the iFit training platform. Activity trackers like the Fit Bit Flex are one of the best ways to see your fitness progress and to stay motivated to achieve your resolution in the coming year. 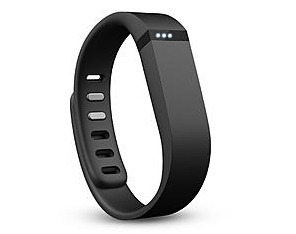 They track your activity, let you know how many calories you burn and even track your sleep patterns. Smart scales are another great product available on the Sears Connected Solutions site that can help you reach your goal of fitness in the New Year. 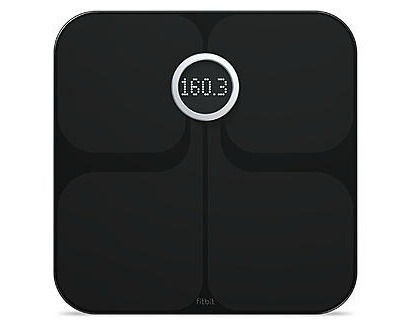 The Fitbit Aria Wi-Fi Smart Scale allows you to track your weight, body mass and body fat, while getting long term weight predictions. Another great fitness tool for those who have weight loss resolutions are heart rate monitors. You can seamlessly track your heart rate to stay within your target zone during workouts, and many monitors also count steps and calories burned as well. Is your New Year's Resolution to lose weight or get fit? Visit the Sears Connected Solutions site for these and other products that can help you own that resolution in the new year! Want a chance to try these or any of the other smart technology products on the Sears Connected Solutions site? Enter below for a chance to win a $100 Sears Gift Card! Open to US residents 18+ and the giveaway ends 12/27. This post is brought to you in collaboration with Sears, all opinions are my own. I resolve to take better care of myself by getting a new exercise bike and USING it! I don't make New Year's resolutions. If it ain't broke, don't fix it! I have a list of New Year's resolutions, losing weight, becoming debt free and saving money, being a better person. Mine is to loose weight and exercise more. To life weights at least three times a week. I am going to step up my exercise routine by adding weights to get me toned up and eat healthy smoothies for breakfast! I need to get my body in shape and exercise. My New Year's goal is to get fit and stop drinking soda. my new years resolution is to stop drinking sodas! Get more active and eat right. I wnat to eat healthy and find time to enjoy my family more and more. To cut out all fast food and to get a promotion at work. I want to clear out some clutter and get my closets organized. My 2016 resolution is to start using the elliptical I bought so I can move more. I want to make more time for exercise this year. I don't make resolutions. I do plan on continuing to workout and keep myself healthy. I am trying to be more organized. Cleaning up my space! And paying down my bills! My resolution is to stay off the smart phone devices more and go explore more. My resolution is to save more and spend less! My resolution is to recertify my licenses in both my personal and professional life. My new years resolution is to be happier. Leave a comment on this post telling me your resolution in the New Year. I have to build up to about four miles a day of walking... four days a week, actually. That would be enough. I'm up to a mile and a half now! I want to get my blood sugar under control. Help the poor with their problems, exercise my dogs more and make more gifts from hand. My new year's resolution is to get fit, continue to eat healthy, and to volunteer more. 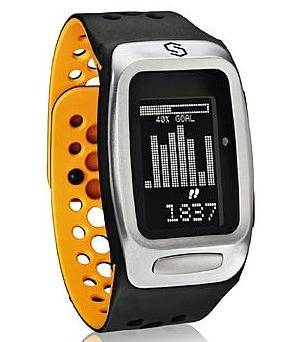 I am wishing for a fitness bracelet for xmas so I can set goals and track my fitness progress. My new year's resolution for 2016 is to pay off my debts, and to be more careful with spending, to stick to a budget, and try to save some money. My new years resolution is to get more active! My New Year's Resolution is to lose a few more pounds. My resolution is to take the stairs at work instead of the elevator. Usually that's only 1-2 flights of stairs per trip, but it could be as many as 7! My New Year's resolution is to spend more time reading! My resolution will be to eat better. As tired as it sounds, I'd like to lose the 10ish lbs. I put on this summer. My resolution is to learn a new language. I need to lose 35 pounds. I actually began my new routine last month. It's where all my focus is. So into the new year, I want to continue with my exercise routine. My main goal this coming year is to get back to my cardio and strength training workouts. To spend at least ten minutes a day reading the Bible. Gotta be fit spiritually, too! I'm going to try and exercise even in bad weather. My resolution for 2016 is to be pain free. Having spinal surgery January 5th, and I hope it solves my chronic pain. Thanks for the chance and happy holidays!! I'm going to decrease eating at fast food restaurants. Yo live healthier. Happier and more honestly. I resolve to eat healthier and drink water instead of soda. One of my goals for next year is to achieve 10k steps per day at least 5 days a week. I would like to make sleep a bigger priority...I often slack on that. I usually have themes for the new year, but this year i haven't decided on a theme yet. I would like to get better at nit procrastinating. I plan on getting back into shape and to start eating healthier. My resolution for the new year is to play more board games with my son's. My 2016 resolutions are to live healthier, to travel more, and to live with less stress. To not let things get to me, and to accept what I cannot change. I plan on increasing my workouts for the New Year!! I need to get my body ready for a backpacking trip. My resolution is to become independent and make better financial decisions. i don't do new year's resolutions, I just try to be a better person every day. My resolution for the new year is to get out of debt. I'd like to get healthier and get back into exercising regularly. I need to get back on the treadmill and stop hanging clothes on it. I would like to take more time to travel even if it's just a day trip. Cutting down on sweets is what I am going to try to this year. Thank you! I need to work on eating healthier and exercising more. Definitely have to get back into exercising. I am going to try to eat better and to exercise more. My new year's resolution is to eat 3-5 servings of veggies a day. My resolution is to work out more often and lose weight. I resolve to go on more nature walks and get outside. I have many resolutions for 2016, get healthier,dejunk my life, start a daily journal, start a BLESSINGS jar, write my book, spend more time in the Bible and prayer, and more time with my son. My New Year's Resolution is to exercise more and get stronger. My New Year's resolution for 2016 is to up my exercise classes from 2 to 4 a week to hopefully help my weight loss plan. My resolution will be to learn to cook healthier for my family! My resolution for the new year is to go back on Jenny Craig to lose weight. I'd like to say I'm giving up sugar but I don't know if I'm ready for that, so I'm going with cutting my sugar consumption by 80%. I am going to eat heathier this year. My new year's resolution is to spend more time with family and friends. My resolution is to eat more veggies. My resolution is to be kinder to myself. i would like to lose 30 pounds in the new year. After the new baby comes in April, I'm hoping to lose the extra weight. Mine is the same as last year, to quit smoking and lose weight. My resolution is to get my house organized and clean out my craft room. I would love to spend more time with my kids. .y news wishes are for better health for th entire family. My resolution is to think before speaking. I want to get more organized next year. I didn't really make an official resolution. I guess I'd like to keep my house clean enough for surprise houseguests. My resolution is to get on a fitness schedule. I have not been doing well this year and I want to get back into a routine. My resolution is I finally gotta lose this weight. Did great this year, 30 pounds gone, need to do another 30 at least.